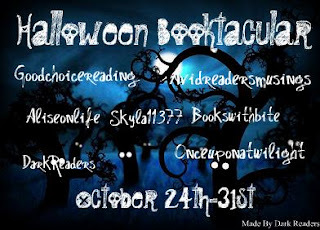 So our first post on our Halloween Spooktacular is an interview with Becca Fitzpatrick and a giveaway. Dark Readers were every excited to read Silence as I am sure the rest of your were and just as excited when we heard there was going to be a forth. Check out our Silence review here. So when S&S asked us if we wanted to interview Becca Fitzpatrick we jumped as the chance! 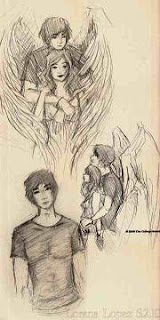 heres our interview with her and check out some awesome Hush Hush fan art we found too. How does it feel to finish Silence and have it released into the world? There's always a mix of excitement, energy, and anxiety. I enjoyed writing SILENCE more than any other book in the series. I hope that translates into a dramatic story for readers. Are you nervous about the release and what your fans will think? Absolutely. That anxiety never truly goes away. These stories come from inside me, and I want readers to love them as much as I do. I remind myself I've done my best, and that feels good no matter what else is happening around me. 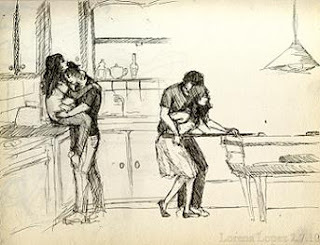 Congratulations on the news that there will be a 4th novel in the Hush Hush Series! What made you decide to write another? I wanted to write a book set during Cheshvan, since it plays such an important role in the series. I've hinted at it in the first three books, but now readers will get to see what Patch and Nora's world is like during those dangerous and tumultuous weeks. 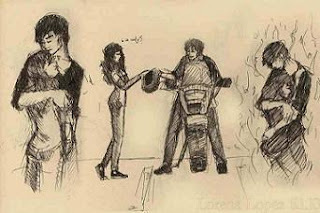 What can we expect from Patch and Nora in the 4th novel? A final showdown between fallen angels and Nephilim, with Patch and Nora forced onto opposing sides. The only question now is, which race will survive? So that is the question on everyones lips! Which Race will survive? we will just have to wait till next year! 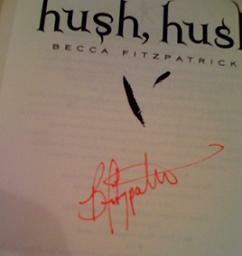 Now for a giveaway will you like to win a copy of Hush Hush signed by Becca? well all you have to do is sign this Form and the competition ends November 9th. Happy Halloween! This is fabulous thank you!! Man, I didnt realize there would be a fourth book. Maybe I should wait a while to pick up Silence. I love the fan art!! Amazingly done. 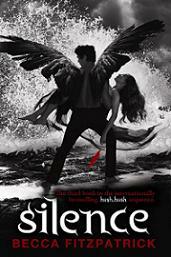 And I SOOOO can't wait to read Silence!! !